Do you have questions about limited tort? Pennsylvania limited tort attorney Jon Ostroff has answers for you. Over the past 25 years, Attorney Jon Ostroff has helped more than 25,000 Pennsylvania accident victims – many of whom had limited tort car insurance. He does not shy away from limited tort cases; rather, he enjoys them and fights hard for the fair and just recovery of limited tort accident victims. His success is documented by the millions of dollars he has recovered over the years for limited tort clients and by his Preeminent A/V rating by Martindale Hubbell. Insurance companies know that Jon means business and will not rest until he obtains a fair settlement. As a potential client, you should know how hard Jon will work for you and that he will not be paid unless you recover damages. Protecting the rights of limited tort clients is important to Jon. 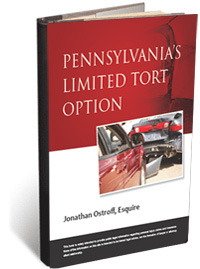 Accordingly, our limited tort lawyers encourage you to download a FREE copy of Jon’s book, Pennsylvania’s Limited Tort Option, by clicking on the link. The differences between full and limited tort. Whether you are covered by a limited tort policy. The exceptions to limited tort insurance that will allow you to recover full tort damages. 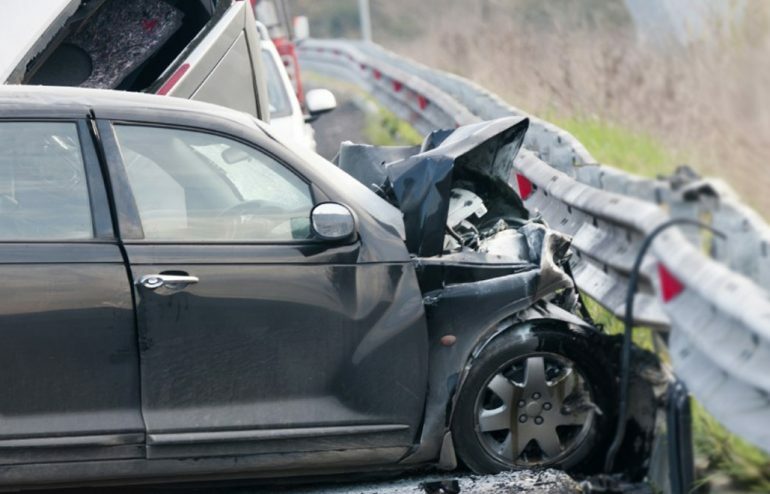 What to do if you have been hurt in a limited tort accident. Other important aspects of Pennsylvania limited tort law. Jon is making this book available at no cost to you, and with no obligations. For more information, we invite you to download the book and to call us directly at (800) 861-5696.